Lisbon Local, Harley Rider, Food & Wine Lover, Nature Geek. Snowboarder, Trekker, Longboarder, Skater, Archeology, Old Books, Bullfighting, Rugby Lover. 5 Languages, 42 Countries, 5 Continents, 1 RTW. 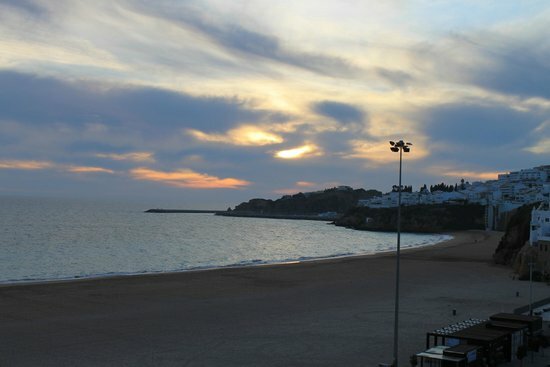 Once a small fishing village, Albufeira is now one of the largest and most popular beach destinations in Europe. In three days, you're bound to see why! Tipping 10% is customary for good service. 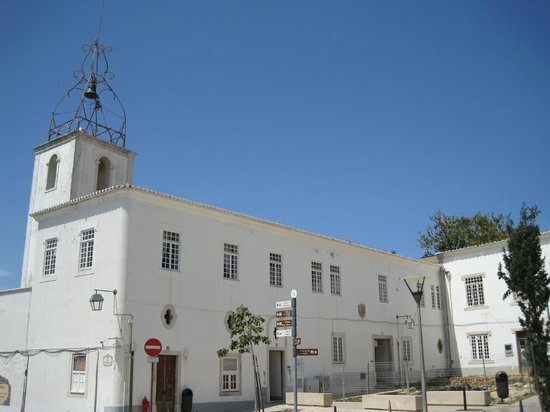 The Tourist Office is located in the Old Town at 5 Outubro Street. It should be your first stop. You can pick up a map and talk to the knowledgeable staff there. Giro, the city bus, runs about every half hour. You can purchase a one-way or day ticket on the bus, or buy a pre-paid card to reload — ask at the bus stop for details. 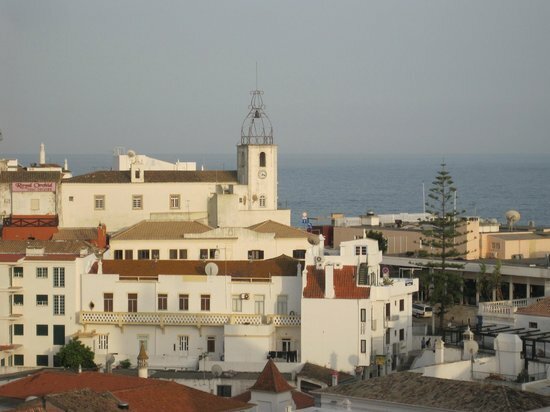 "The Strip" in Albufeira's New Town is a nightlife mecca. Always grab a taxi or walk there — do not drink and drive! 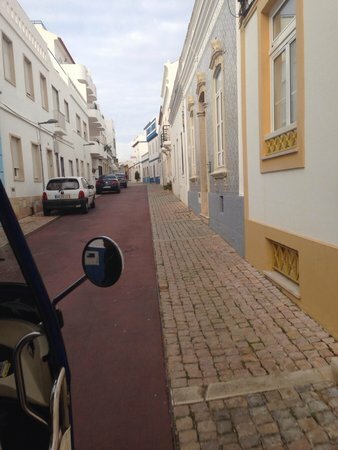 Since Albufeira is a laid-back beach town, casual attire is the norm. Wear comfortable shoes for city walking, and don't forget to pack sunscreen and water. 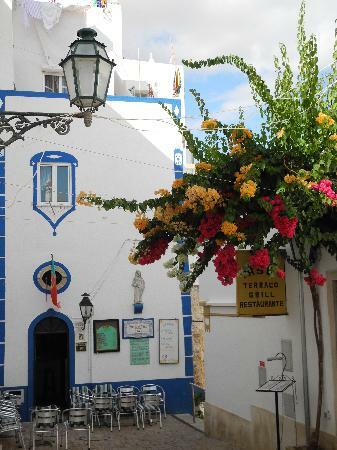 Tucked beneath a steep hill, Old Town retains some of the charms of historic Albufeira. Surrounded by restaurants and bars, the main square comes alive with revelers, especially on summer evenings. But it's the labyrinth side streets that holds the real treasures. 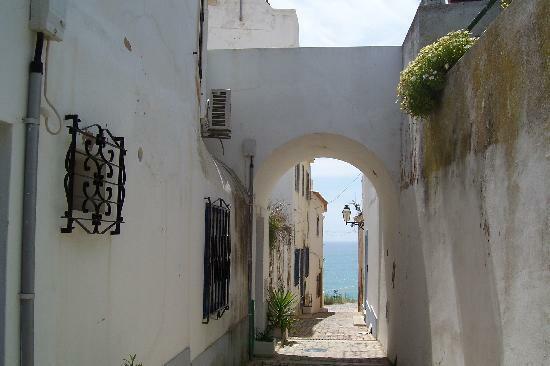 Many of the narrow, cobbled lanes are unsuitable for cars, which leaves pedestrians free to explore the small shops, bars, and restaurants as they meander down to Pescadores beach. 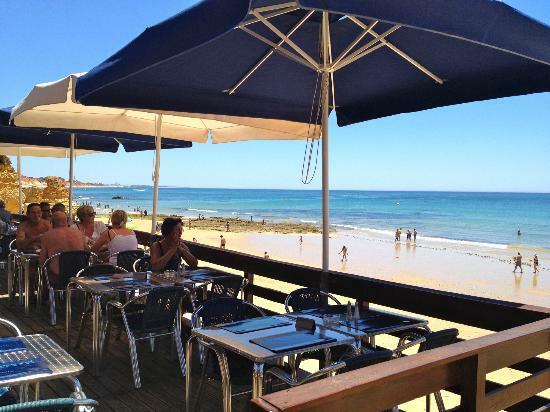 Find a cafe terrace that looks appealing to you, and stop to enjoy a refreshing drink while looking out at the ocean. Praia dos Pescadores, or Fisherman's Beach, is named for the myriad fishing boats that used to anchor here (they now reside in Porto de Abrigo). You'll still often see a handful of fishermen working on the shores, and the restaurants that line the beach all serve up fresh catches. 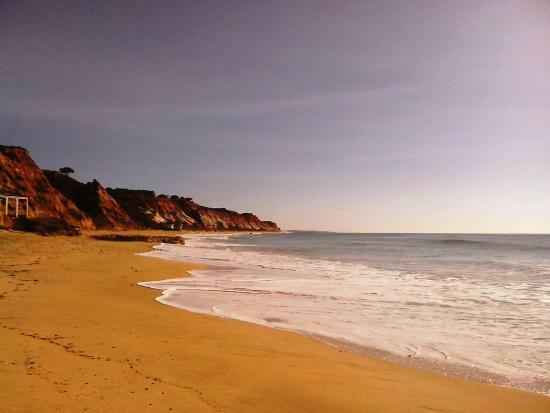 The beach itself, with its beautiful golden sand and cool ocean waves, is a favorite among locals and visitors alike. Head out on the water, or simply lay back and enjoy the sunshine. Always wear sunscreen, and in spring and summer avoid the hours of 12-3pm, when the sun is at its strongest. Foot volley (a sport that combines football and beach volleyball) is said to have originated on these sands, and late afternoons often see pickup games. Stay to watch or join in! Situated near Peneco's Beach, the Clock Tower was originally part of a medieval castle that now lies in ruins. Its decorative iron 'crown' dates back the 19th century, the clock still chimes every hour, and it is lit up nightly. The opening hours vary by season, so check them out before you visit. 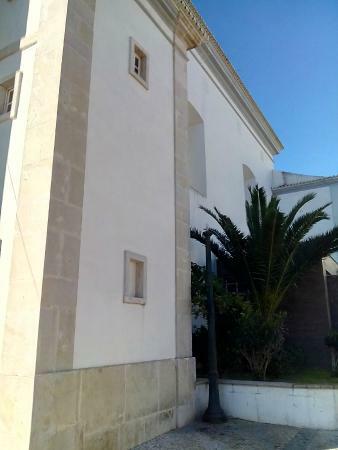 The site where Igreja Matriz (or the 'Mother Church') now stands has long been a place of worship. 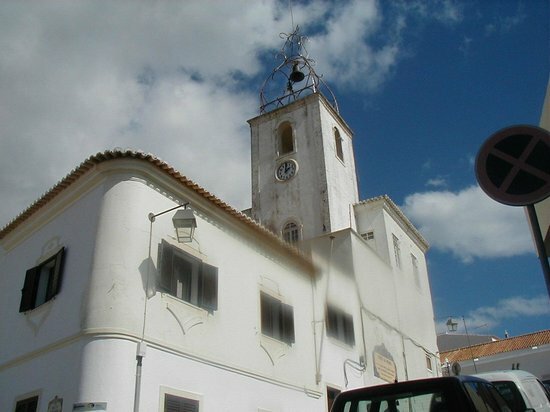 The current church was built in the 18th century, after the 1755 earthquake devastated Albufeira's old parish church (which itself was originally an Arab mosque). 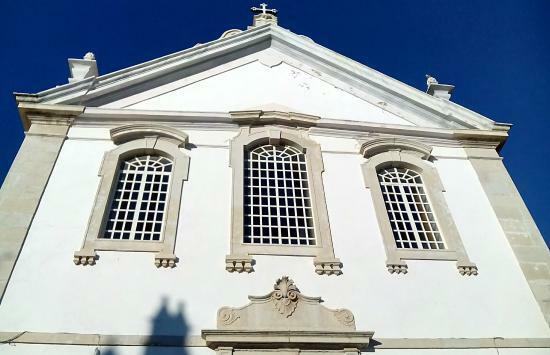 The neoclassical Mother Church is stunning, with four side chapels, a central dome, and a beautiful central altar featuring Abufeira's patron saint, Our Lady of Conception. The bell tower, now an iconic part of the church, was added later in 1869. 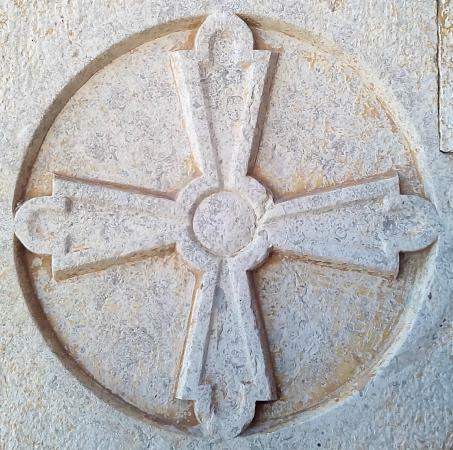 In early September, the city celebrates the Feast of Saint Vincent with a procession and Mass. It is a sight to see if you're in town during that time. Masses are held on Saturdays and Sundays. Times vary by season, so stop by to check the schedule if you wish to attend. 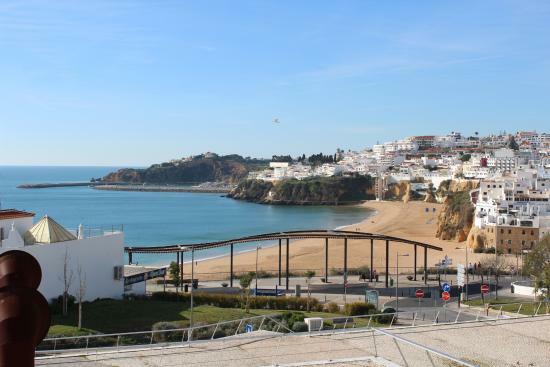 Doçaria Almeixar is a must for your first day in Albufeira, because there's a good chance you'll want to visit it again and again! This simple, homey restaurant and sweet shop serves up everything from burgers, pizzas, and salads to crepes, cakes, and smoothies — all homemade with quality ingredients, and served with a smile! After dinner, try one of the local fruit liqueurs, like almond, fig, or carob. 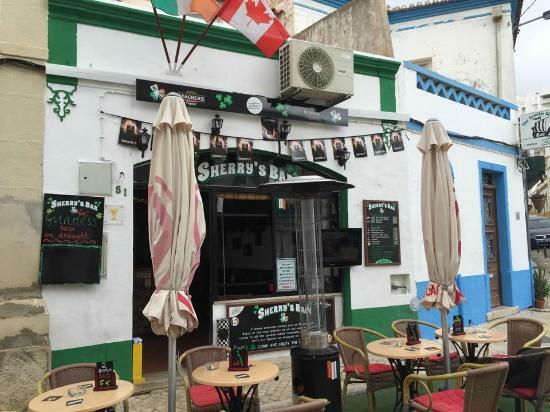 There are Irish Bars and then there is Sherry's Bar. 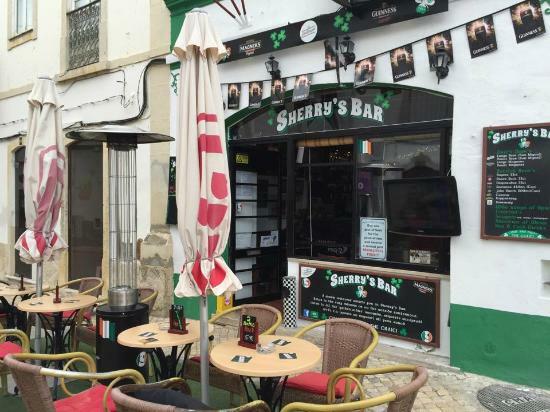 Situated just off the main square in Old Town, Sherry's is the type of place where you feel like a regular even if you've just arrived. 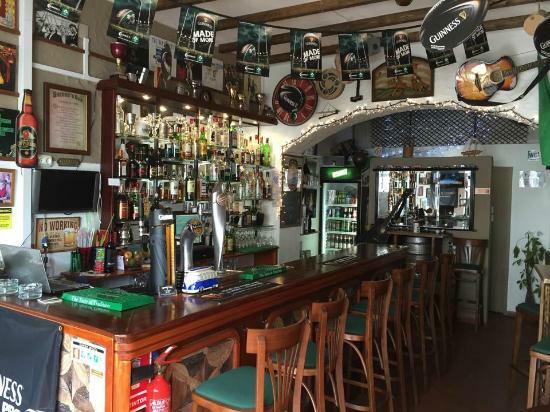 The owners, an Irish couple, and staff are all about making guests feel at home, and the atmosphere is buzzing but still calm enough that you can have a decent conversation over a pint of Guinness. The bar often hosts quiz nights or sing-a-longs, so don't be afraid to join in. The energy is contagious! 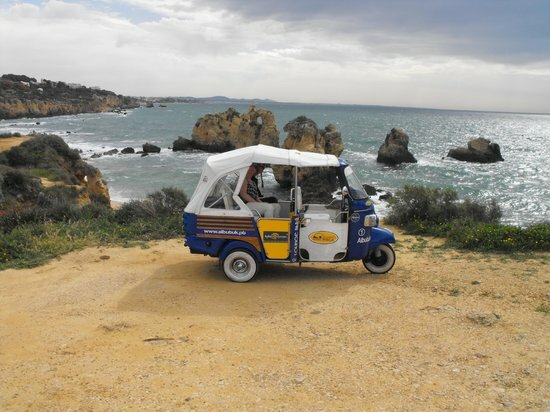 The tuk-tuk, a sort of tricycle with a passenger cabin, is a main means of transportation in India and Southeast Asia, and now you can try them out in Portugal too! 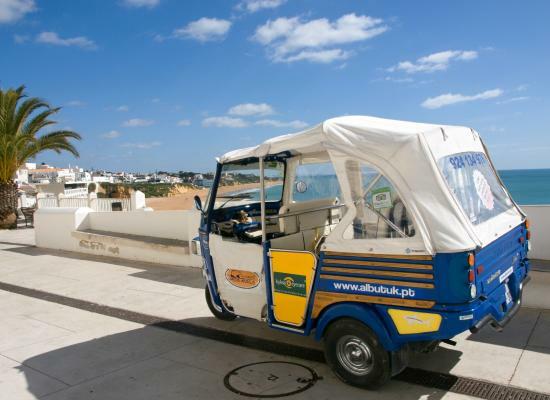 It's a fun way to explore Albufeira, or to get to some of the more difficult to reach beaches. Go on a morning ride, because it's cooler then! Olhos de Água is a small fishing village where you can watch fishermen hauling in their catches that will be cooked up at local restaurants later in the day. 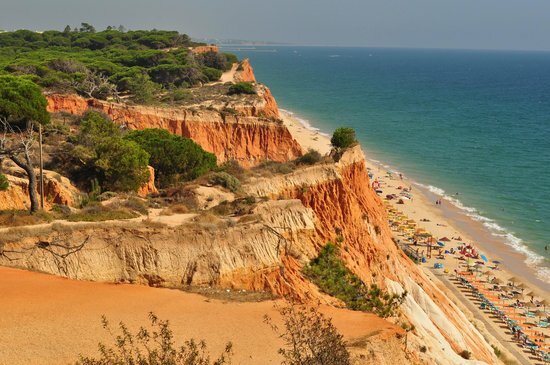 On the beautiful beach, you can see the 'eyes' for which the town is named (Olhos d’Agua means 'eyes of water'): natural springs that sometimes gush up through the sand during low tide. The rock pools make fun spots to poke around, and the shallow waters are good for children. This beach is ideal for elderly and solo travelers. 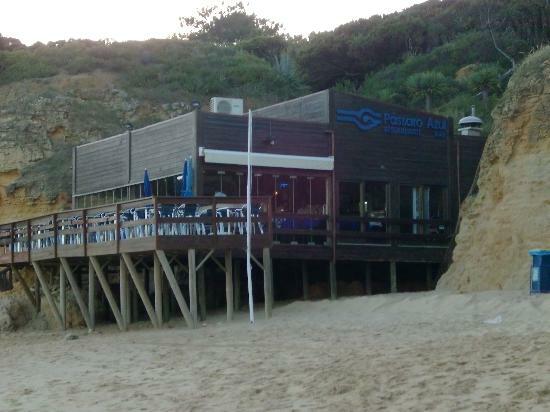 Perched above the sand in Olhos de Água, Pássaro Azul is a great place to enjoy lunch without venturing too far from the beach. Here, you can dine on those fresh catches you saw being hauled in earlier in the day, perfectly paired with a fresh Vinho Verde Alvarinho white. 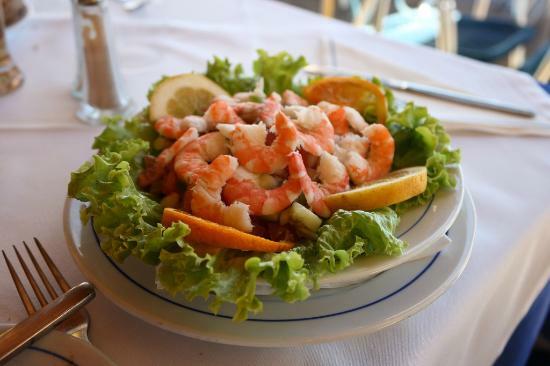 Even though seafood is the specialty here, non-fish eaters have many choices as well! 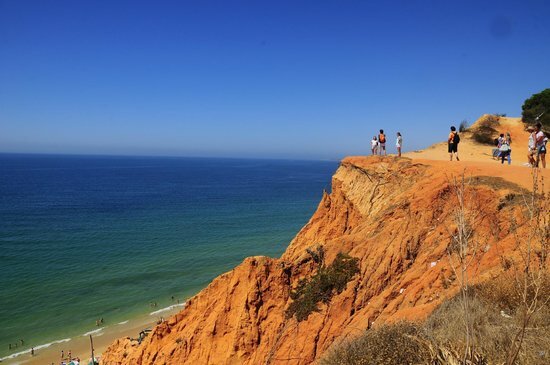 Located just outside of Albufeira, Praia do Barranco das Belharucas got its name for being the nesting spot of colorful birds called 'bee-eaters' (abelharucos). 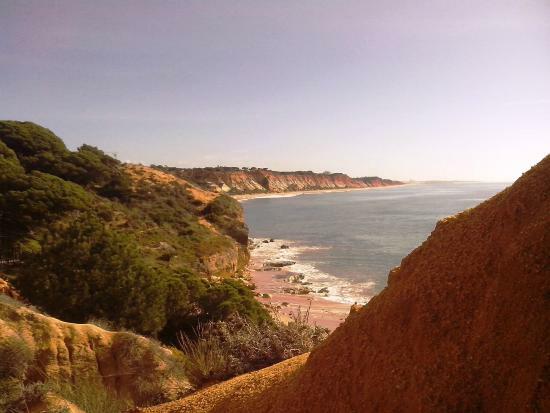 Backed by severe orange cliff, the beach itself is quiet, with calm waters great for all manner of water sports! Access to the beach is via a dirt road. 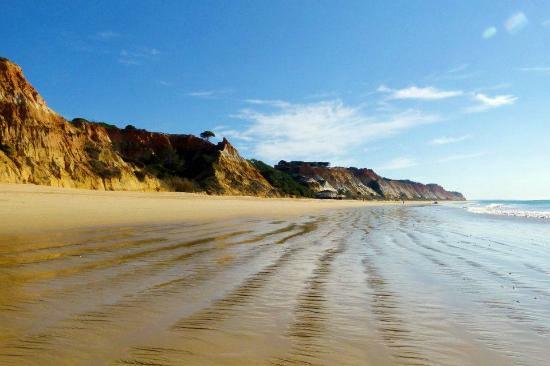 There is some parking, or you can walk from Praia dos Olhos de Água during low tide. From water skiing to pedal boats, you'll find various watersport rentals available in the area. 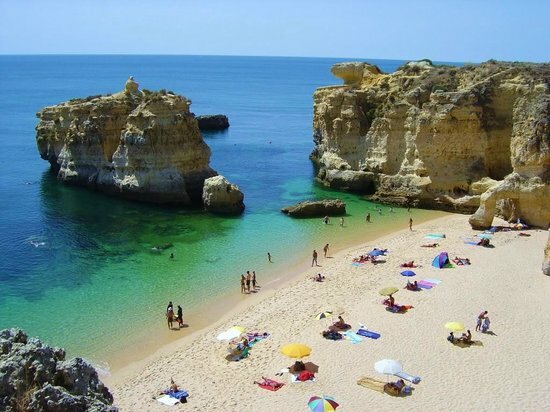 Named for the rugged, blazing cliffs that tower above it ('falésia' means 'cliff'), Praia da Falésia is one of the most magnificent beaches in all of Portugal. Play in the water, or just kick back and take it all in. A variety of restaurants and bars here will sate your hunger (or thirst). 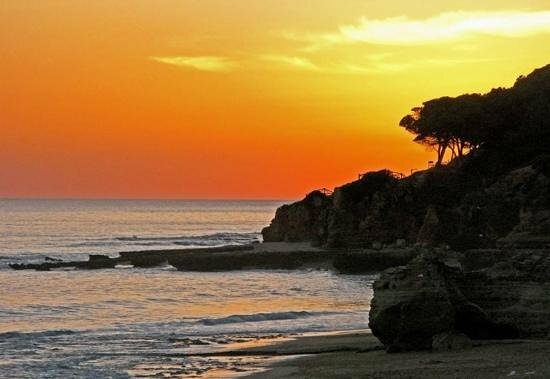 Even if you spend the day here, still return to watch one of the most beautiful sunsets you can imagine! The beach can get crowded, but if you're seeking a quieter area, just walk down away from the bars, and you'll find some less populated stretches of sand. 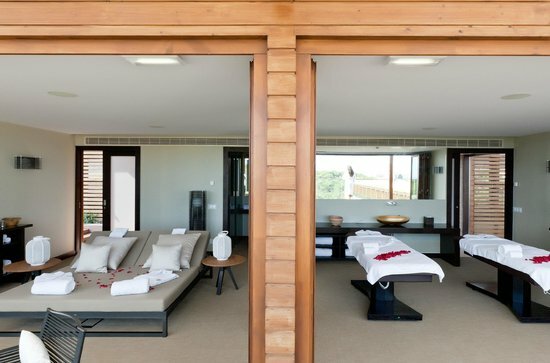 Sayanna Wellness sets the tone for relaxation with its very location, overlooking Praia de Falésia. 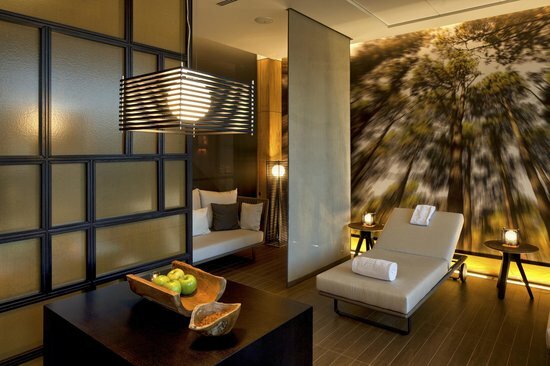 The beautifully appointed spa offers a very wide range of services, plus a private Jacuzzi and an outdoor garden. Call ahead to reserve your treatment. 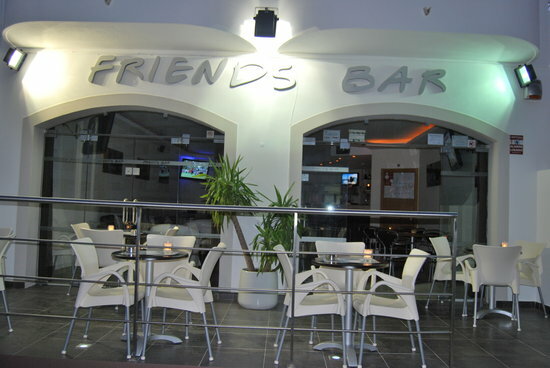 After catching the sunset, head back to Olhos de Água for a nightcap at Friends Bar. The proprietor, Ricardo, makes sure that this bar lives up to its name — event though he busily makes cocktails, he seems to always have time to joke and laugh with patrons. On warm evenings, the outside terrace is a great spot to be. 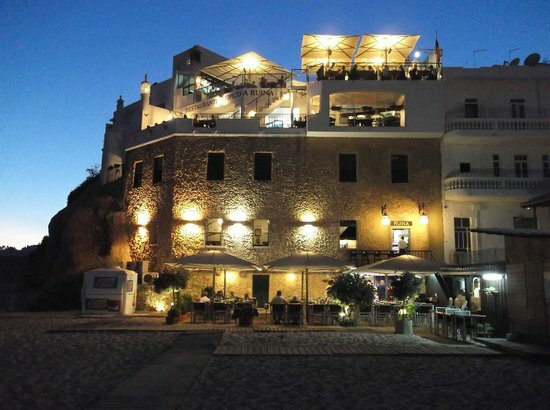 The bar is located on top of a steep hill, but it's worth the climb! 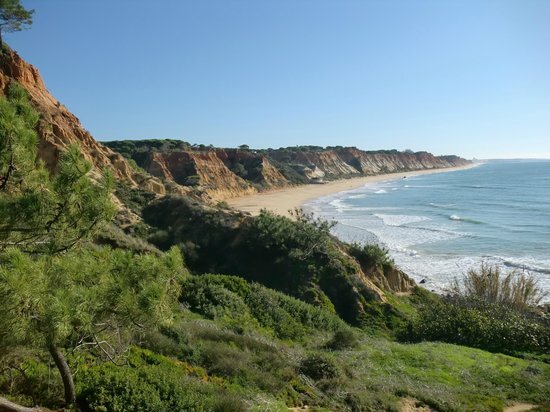 With its mild climate and beautiful courses, the Algarve region is a golfer's paradise. 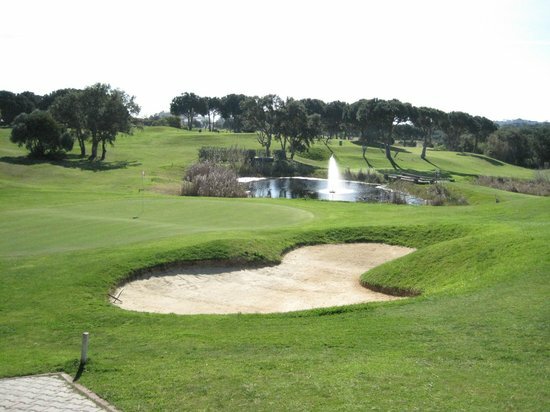 And since it's arguably one of the best places in the world to play golf, it's worth hitting a few rounds in the Algarve, even if you're not a golfer! 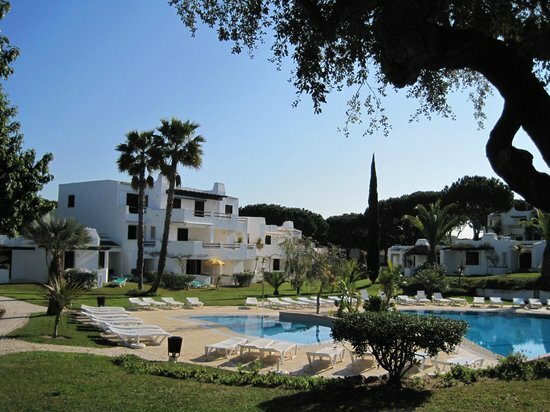 With a nine-hole golf course, three putting greens, and a driving range, Balaia Golf Village is a great place for veteran and beginner swingers alike to experience the golf wonderland that is the Algarve. Call ahead to schedule a time, and choose a round early in the morning, before it gets hot. 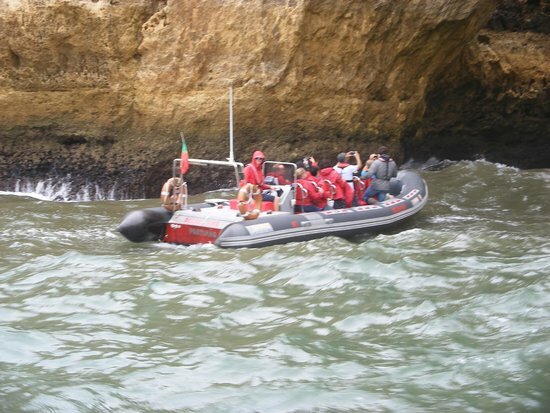 The waters surrounding Albufeira are not just popular with people — they are a favorite swimming hole for sea life as well. 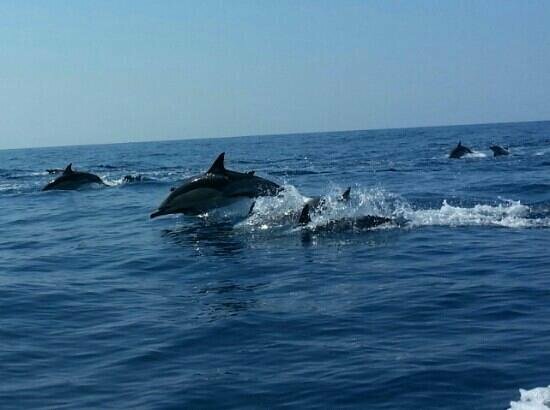 Dolphins and whales frequently swim in these waters, and dolphin watching is a fun pastime for the whole family. 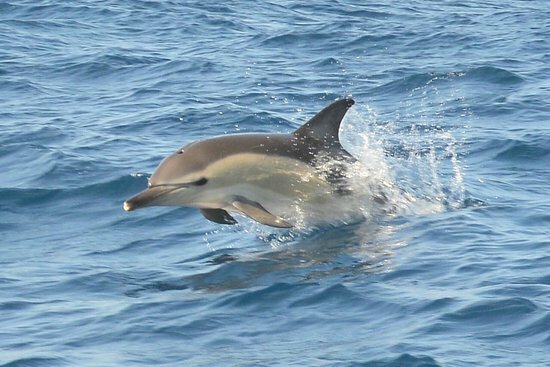 A variety of tour companies lead dolphin-watching boat tours, a fun way to get out on the water, and if you're lucky, you might come across a pod or two of wild dolphins! Purchase a disposable waterproof camera for the day, and keep your mobile safely stored. Bring along a swimsuit in case you decide to take a plunge! Tour times vary, and tours usually last two to three hours. 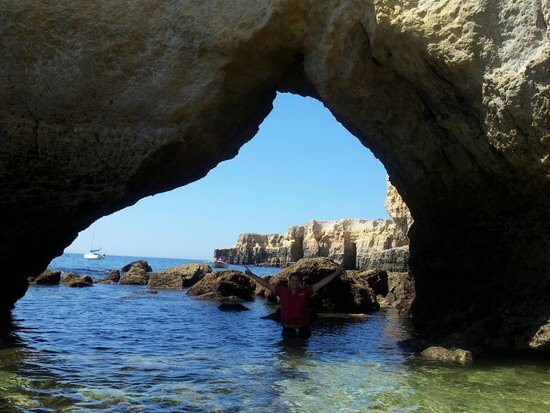 A secluded cove below the cliffs, Praia da Coelha is a peaceful beach and a good spot for a quiet afternoon of relaxation. Avoid being on the beach between 12-3pm in spring and summer. 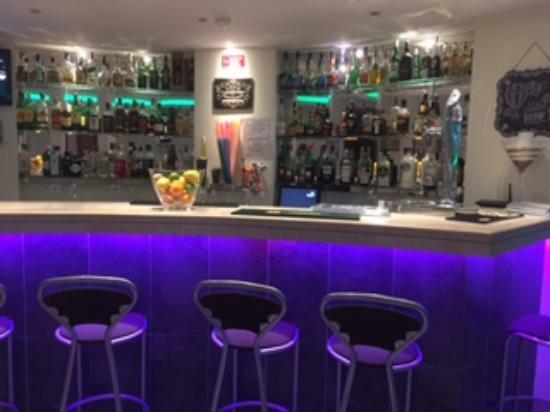 For around 20 years, Blue Bell Bar has been welcoming guests with its friendly atmosphere and tasty drinks. Situated in the heart of Old Town, this is a great place to stop by for happy hour. 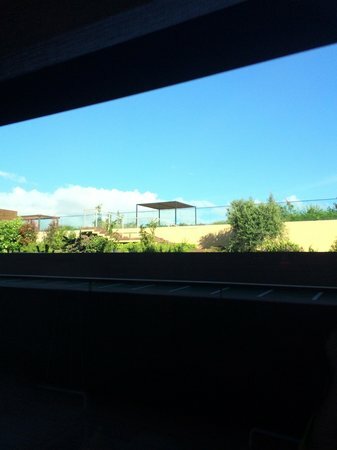 Get there early to clime a place on the terrace! 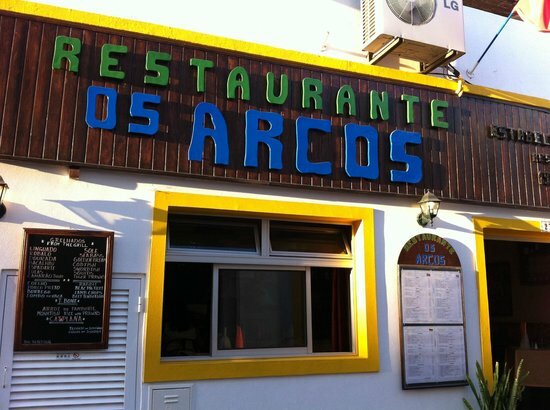 Os Arcos Restaurante is a traditional Portuguese restaurant located on a quiet street in Albufeira Old Town. 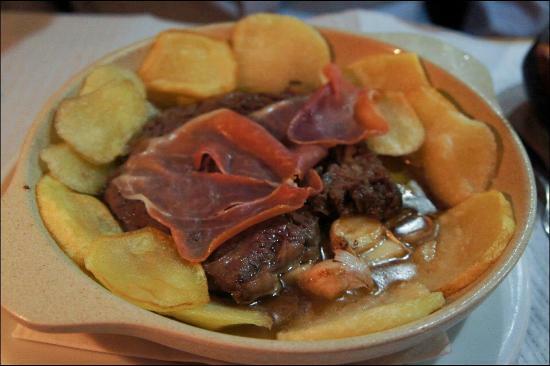 The owner is very welcoming, and the atmosphere cozy and rustic. 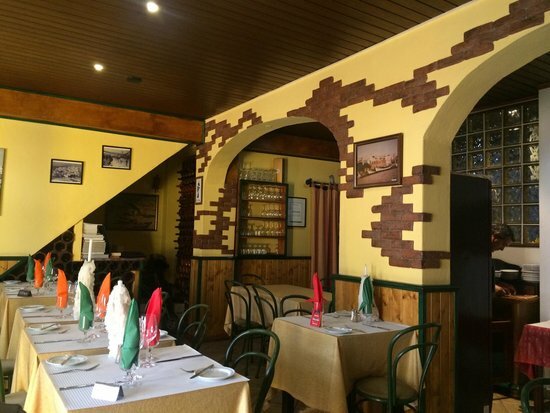 Locals and tourists alike love this spot for its delicious, well-made cuisine, which includes plenty of seafood as well as traditional meat dishes such as steak and Alentejo pork (a traditional dish with pork and clams). This is a popular restaurant, so be sure to reserve ahead of time.